The spotlight has once again fallen on the attitudes of South African road users over the past festive season, following reports by Transport Minister Dipuo Peters that 1,714 people lost their lives in road related accidents due to factors including speeding and drunken driving. This indicates that this is probably one of the most important goals, and one that we should all consider including in our new year’s resolutions. What these statistics reveal, is that we all need to commit towards becoming more responsible road users in order to address this ongoing, year-on-year issue and become advocates for change. Safer roads start with you, so we encourage you to take these tips in helping you achieve your goals towards becoming a better road user in 2017. As a motorist it is important that you are familiar with the road rules, and to continuously adhere to these at all times when using the roads. The Department of Transport recently proposed a new set of road rules that will be rolled out from 1 May 2017 and as such, it will affect you directly. 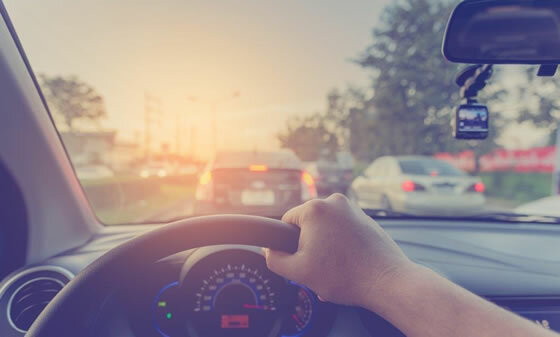 Motor vehicles are still considered to be one of the most popular modes of transport yet many South African road users drive unroadworthy vehicles placing themselves and other road users at risk. In fact, over 5 000 unroadworthy vehicles were impounded by officials during the festive season holiday period. So take the time to read your owner’s manual, and to schedule regular maintenance service to ensure that you are driving a roadworthy vehicle – which is a legal requirement in South Africa. A large part of becoming a more responsible road user, is changing your mindset when using the roads. This is critical, given that according to findings from a recent survey by the AA “the attitude of South African drivers is simply not good enough”. Findings from the report also revealed that 60% of motorists surveyed feel that their safety on the roads is reliant on the attitude of other road users. Therefore, by adopting a better attitude on the roads you are contributing to the safety of not only yourself but your fellow road users. Despite your individual efforts to become a more responsible driver, even the most responsible road users can become victims of car accidents. If you find yourself in an unfortunate position like this, it’s good to know that there are services such as the Accident Assist feature from Beame Protect that will assist you with the claims process to ensure you are paid out timeously for any injuries sustained. Click here for more information on the Accident Assist feature.